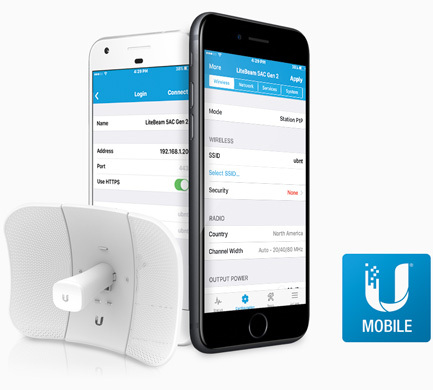 The LiteBeam AC integrates a separate Wi-Fi radio for fast and easy setup using your mobile device. 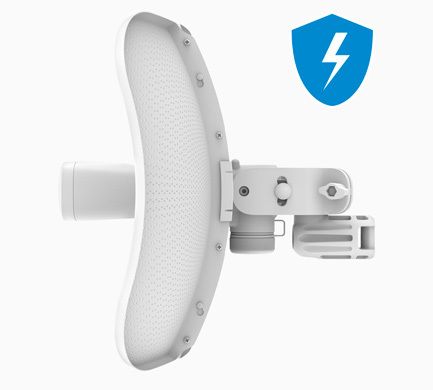 Featuring enhanced protection against ESD events, the LiteBeam AC offers a more robust mount with separate azimuth and elevation adjustments. airOS8 provides powerful features, including airMAX ac protocol support, real-time RF analytics, and an all-new design for enhanced usability.